Jammy blog: MEE blog 3: Experiments with more simple command blocks. 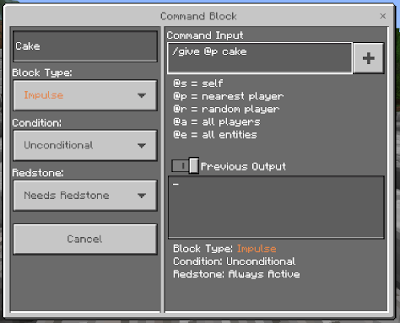 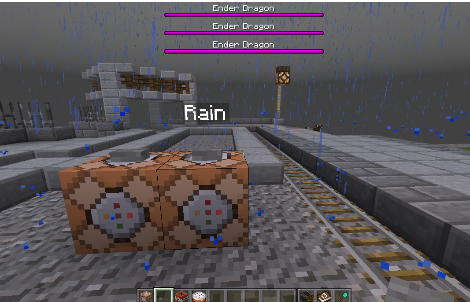 MEE blog 3: Experiments with more simple command blocks. 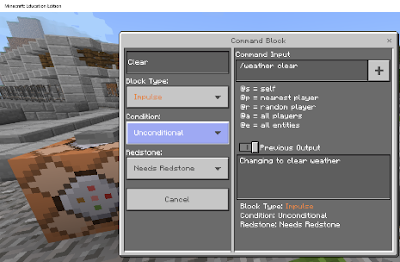 Changing the weather and clearing it. 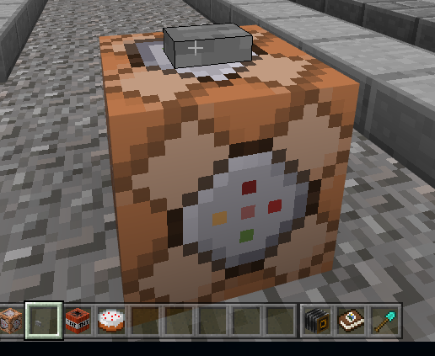 Step 3: Press crouch(shift) and place a button down on top of the command block. Step 4: Give me cake. 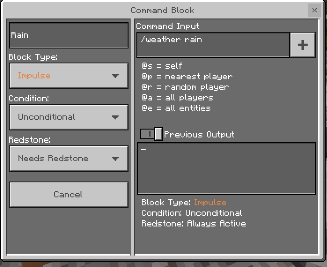 Step 5: Controlling the weather.